Having just released a second track entitled Arthur, the digital b-side to her first track Lucid, Kelly Lee Owens has marked herself out as one of the artists to watch in 2015 as she prepares her debut album which is being recorded with Ghost Culture. Kelly isn't an unfamiliar face to those around London, having worked at Rough Trade East's store in Brick Lane and more recently at Sister Ray in the West End. She also was the bassist and provided backing vocals to The History Of Apple Pie's debut album Out Of View. Since then, she's left the band and has recorded vocals with Ghost Culture, particularly on recent track Understand. However, she's hard at work recording her debut album and last month released the first fruits of those sessions with the track Lucid, a beautiful eerie track underpinned by insistent drums providing the backing for her haunting dream-like vocals that sound outer-wordly yet at the same time perfectly aligning with the music. This week she's released a second track called Arthur. It starts with background noise and birds whistling and more of those haunting vocal melodies before a sawing beat kicks in and Kelly starts singing almost detached from the music around her, as if in a different stratosphere. It's a powerful mix, difficult to describe it as a song as it has none of the traditional structures, but like East India Youth this year, there's the capacity to grab you and draw you into the music and not let you go. Her debut album is being recorded at present, but on the basis of these two tracks, it's going to be one of the most inventive underground releases of 2015. 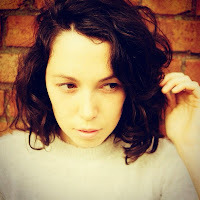 Kelly Lee Owens is on Facebook and Twitter.